It began its life around the rumor mill as “The Playstation Phone”. It ran the full rumor gamut from there, with everything from “Fake!” to “Cancelled!” to “Will Lay Golden Eggs!” being pinned on it by on pundits at one point or another. And today, it becomes a reality. Well — it’s not really any more a reality than it was a week ago, given the innumerable leaks and Sony Ericsson having acknowledged the device’s existence a handful of times before.. but hey, it’s official. Oh, and it’s coming to Verizon! It’s packing a 1GHZ Qualcomm CPU and an Adreno 205 GPU. It’s the first “Playstation Certified” smartphone. That means it ought to work pretty dang well with Sony’s new Playstation Suite service, which allows for select Playstation 1 titles to be emulated on Android devices. And the big news all of our US readers are waiting for: yeah, it’s coming stateside. They’re not getting super specific with the dates, but Sony Ericsson says it’ll hit Verizon sometime in Spring. 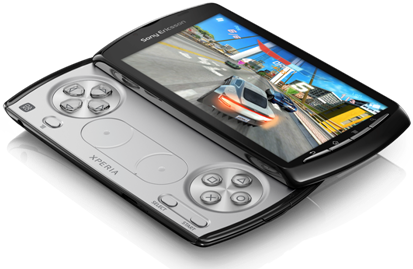 It’ll come pre-loaded with a handful of games (Sims 3, Asphalt Adrenaline, Tetris, etc), and Sony Ericsson’s promising at least 50 Xperia Play-centric titles to be available by the time it launches. So what do you think: is the world ready for a gaming-oriented smartphone?